Oh my goodness, Martha. 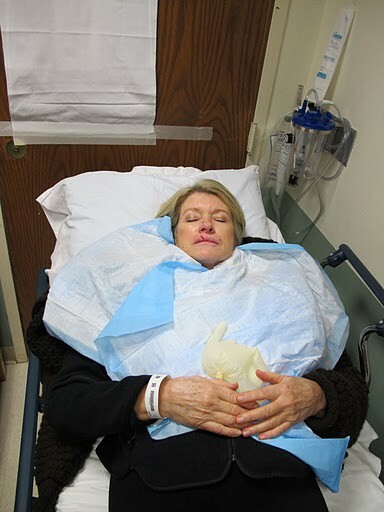 Katie Baker alerted us to this brilliant 34-image narrated slideshow of Martha Stewart’s recent visit to an ER for a split lip, published today on Martha’s blog. It was best to rest quietly while waiting for Dr. Nolan to arrive from his home in nearby Pound Ridge. The time was 8:59PM.